While we were in Boston, we met a little girl named Paige. We met Paige while we were waiting in line to get a blood draw. Her dad had gone to sign her in. I was ahead of him in this same line. When I came back to where Dan and Ben were sitting, I found my husband chatting with this sweet little girl in a wheelchair. (What many people don’t know about my husband is that he is a sucker for little kids, especially sweet little kids who are ill.) This little girl was full of personality and smiles. She told us she gets twice a week blood draws. She knows what fun picture is on every CT scanner. Just a little over two weeks ago she had a liver/kidney transplant. Yet, here she was smiling her huge smile and showing us her Spider-Man shirt complete with webs under her arms. She loved Ben Ben’s Superman cape. She discussed many things. She had one of the sweetest souls around and a tiny voice full of life and joy. She asked Ben if he had any brothers and sisters and when Dan answered 11, she took a minute and answered “Your house must be really noisy.” She is wise beyond her years, which was all of 8. Dan stopped to talk to her after Ben’s blood draw and wished her well. We walked off and Dan got very quiet. I asked him what was wrong and he said she is very, very sick. He hadn’t asked the dad what she had but it was easy to see the sadness in her daddy’s eyes and to connect the dots with all she had going on. I wished I had gotten her full name and address so my children could write to her. But with the wonder of all that is google I found this picture and some articles on her. Her family talks over and over again about their faith. I could see all of their faith and love shining through in this little girl’s face. She knows she is loved. She knows there is a bigger picture. I have seen this over and over again. Sometimes children who aren’t dealt the fairest cards in life, really truly are wise beyond their years and have sweet, sweet souls. They have faith that is unwavering. They see joy in every day life, where we get caught up in the smallest of troubles, that won’t matter a year from now, they stay in the moment and enjoy life. I know this is true because I have been blessed with many children with just such souls. 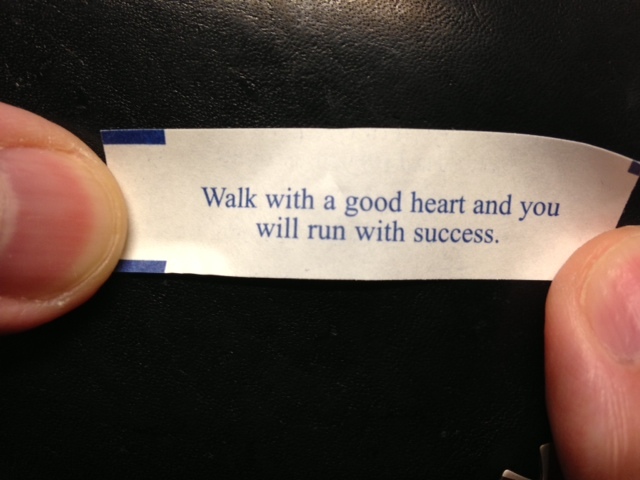 After having gone to China and come home with not one, but many of these souls I would say that blessings abound when you put away your fear and step out and take that first step in faith. I know that there will be those who call me a Pollyanna. They think I only see the good and walk around with my head in the clouds, but people that say those things are the same people who have never met my children in person. 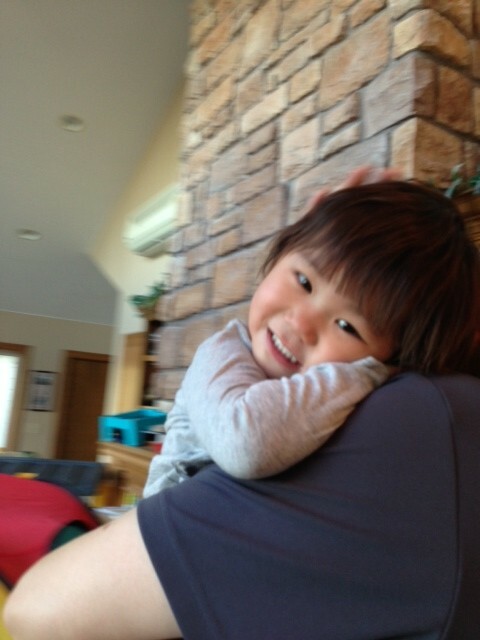 Everyone who came in contact with Ben while we were in Boston commented on what a sweet boy he was. You have to remember this was during a very stressful time for him. He doesn’t want to be sick. He doesn’t want to have surgery. 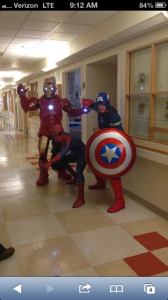 He is afraid and yet he went in to that hospital, dressed in a Superman cape and Spider-Man gloves and treated everyone kindly and with a big heart. This same little boy others say wasn’t worth the money spent on his adoption because of his shortened life span, finds joy in everthing. This boy is a treasure. He believes in God. He prays every time he hears a siren. He prays for the families of the victims, he prays for the driver and the workers, and he prays for whoever is hurt. This boy is a treasure. This boy is a gift worth more than any small adoption fee. This boy was fading fast in an institution and I wonder how many more souls, that are just like Ben, are there……waiting and waiting and waiting because they have a diagnosis that is out of the perspective families comfort zone. How many are waiting, just like Jasmine? How many? We were told that there was no fix for Benjamin and while that is true, we learned this week at Boston Children’s Hospital that there is a surgery that we can do to make him pinker and slow down the progression of his pulmonary hypertension. That is wonderful news. 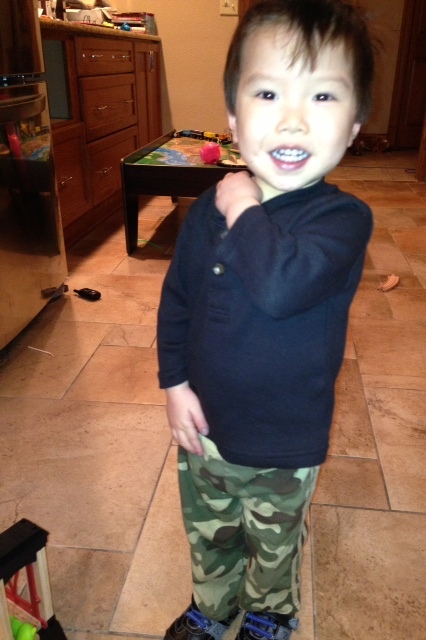 Ben will have surgery Thanksgiving week and we will be thankful for a chance at a longer, healthier life. I talked to many families in the waiting room at Boston Children’s Hospital. We heard story after story of families being told there was no hope only to have other families reach out to them and encourage them to get a second opinion. All of them heard what we heard, there is hope and HOPE is a beautiful thing. Boston was very thorough. They were very kind. Everyone treated Ben very well, so well in fact, that he is okay with going back and having surgery. Steve our nurse for the three days we were admitted, found Ben a Spiderman car to give to him when he came back from his cath. Ben hasn’t wanted surgery, but Ben needs surgery. He is sleeping more, unable to walk very far without sitting down to catch his breathe, just not gaining weight, and dropping his sats in the low 60’s. He needs this procedure and for him to feel comfortable with going back is a such a blessing to us. We are feeling very blessed this week. Everything went well with Ben. Mom got moved to a skilled nursing home in Fort Dodge where she can get rehab to regain her strength and all her friends and more of her family are closer. Plus, to top it off we got put in touch with the Muscular Dystrophy Association who are loaning us a power wheelchair for Jasmine to use until things can be worked out with the insurance company. 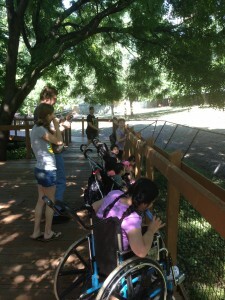 Jasmine needs her independence and this is one way for her to have it. On another note, in an only God could moment, while I was sitting in the pre-op waiting room, I received a message on Facebook from another mom in one of my heart groups on line. She asked if we were in Boston, from a post I had made asking for Prayers for Ben. 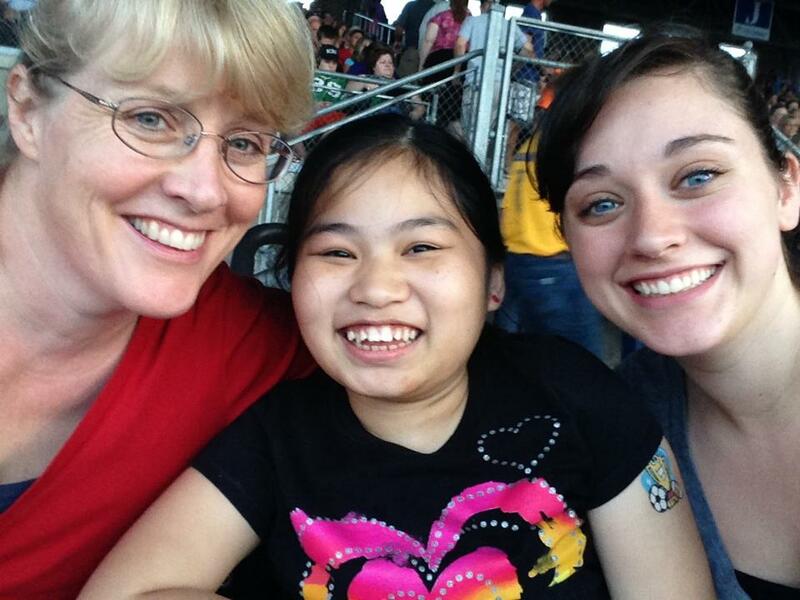 It turns out this family recently adopted a little girl from China who was in Boston having surgery that very day. Plus, they live about 20 minutes from us at home AND the adopted another son from China who is hard of hearing AND they homeschool. You can call it a coincidence if you want but I know it was a Godcidence. Please keep their daughter, Ruthie, and her family in your prayers. She still has many more days in the hospital and we know what a roller coaster ride that can be. Where we were staying, there was a food court attached to the hotel. Ben loved the noodles at the Asian restaurant. 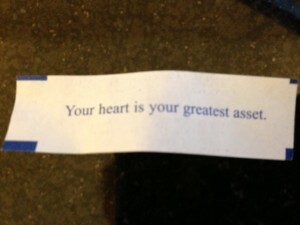 He opened two fortune cookies while we were there and each one said something about “heart”. One of my Facebook friends called them God winks. I like that! 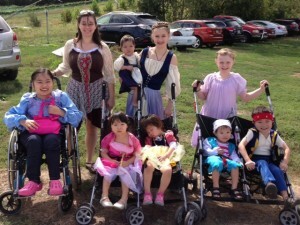 Hoping others will step out in faith and adopt more of these special children both domestically and internationally. People are called to many different places. Who are we to question what God places on our hearts? Pay attention to the God winks that are all around you. He speaks to our hearts in many, many ways. Thank you again for the prayers. Please keep Ruthie and Paige in your prayers also. Keep your heart open to wherever God may be leading. Every day I wake up and look at this little face and I feel so blessed. God worked miracles to get him home to me and I never, ever take a moment of that for granted. He is seriously the cutest little thing. He is the lowest maintenance of any of the kids. He is happy almost all the time and says thank you for everything. He’ll eat whatever you put in front of him. He’s helpful and kind and loving and just so sweet! He is Evie’s best friend. I think about what he was like in China sometimes. He cried A LOT! I slept standing up because you couldn’t even sit down holding him when he was sleeping. He refused to eat or drink for the first three days. We had to force him to swallow fluids off of a spoon. He whined about everything. He wouldn’t come to me. He only wanted Dan for the first day. It was hard. Had I not been so in love with him for so long, I’m not sure what I would have done. He was a handful. But I knew he was meant to be my son from the very first moment I saw his face and I knew there was no turning back. Over the past year, I watched as God worked out miracle after miracle for him to join our family and I knew there was a plan…no matter how afraid I was. We waited months for his paperwork to become available. We were sure his paperwork was just not going to become available so we proceeded with Lainey and Evie. Then China allowed us to add Jasmine because she was going to age out soon. Eli’s papers became available after we had already agreed to the three girls. We decided to proceed knowing we may have to turn around and go back to get him after we got home with the girls. But we had prayed and prayed and every one of those prayers were answered. First, that they would allow us to get preapproval, then we watched as papers were expedited at every step. Everything was falling into place. We could have everything done before we traveled. Would China allow us to add him so that we didn’t have to turn around and travel again six months later? They told us the odds were against us. The chance of them allowing a fourth child during one trip was unheard of. But the doors opened and we once again got the okay. There were just so many things that had to happen for him to become our son and every one of them happened. It would have been almost impossible to go back and get Eli with my mom being sick and all the surgeries with Ben and Evie. I’m not sure with as hard as it has been with Lainey that I would have thought I could handle another child. But God worked all things out in perfect time and I am forever blessed by being allowed the blessing of being Eli’s mama. Right now it is midnight. In just a few hours we will travel to Boston for Ben’s heart catherization. It’s been a rough decision and he is not happy about surgery in any way, shape, or form. He has cried almost every time we have talked about it. It is hard with a five year old. You don’t want to just spring it on them, but you are limited by what they can understand. So you talk to them about the procedures and hope that you haven’t said too much. There is a home that does daycare on the corner on one of the streets on the way to Mercy Hospital. We actually stopped there a week ago when they were having a garage sale. 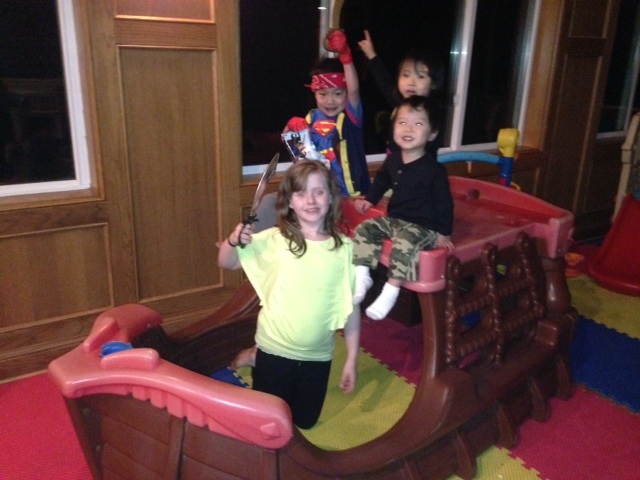 They had a little tykes pirate ship in the yard that Ben has wanted. Every time we drive by it, he comments about how cool it is. We have looked on line and couldn’t find the same ship. I’ve even been checking Ebay and Craigslist. Nothing! But this afternoon as I was driving by on my way to visit mom, I noticed it was for sale in their yard. This yard has a ton of Little Tykes play houses and cars and slides, but the only big thing for sale was the pirate ship. I was in Cassie’s small car so I rolled down my window and asked her if it was indeed for sale and how much it was. She said $20 and I happily paid it and asked for her to hold it for me. Later I drove the bus over to pick it up. I asked her why she sold the ship and she said that for some reason she just thought it should be sold. I then told her about how Ben has driven by her yard for over a year now and has always commented on that ship. I told her that he was really upset about leaving for surgery tomorrow but the ship had made his night. All the way home, Ben commented over and over again how this was THE.BEST.DAY.EVER!!!!! As we drove off, she said she would be praying for him. Ben hasn’t been upset tonight. He went to bed holding his dinosaur car and talking about what a wonderful, awesome day it was. I am feeling very blessed tonight and am as ready as I can be for the next step with Benjamin! How could I not be when God shows himself in even the smallest details of my little boy’s life? I may or may not have been told by numerous people that it’s time to update. So here is my excuse, finding time to sit at the computer without sticky fingers around, is extremely difficult. I often update on Facebook because it’s easy to do quickly while sitting at the hospital. But tonight, all the stars finally aligned and I am sitting in my mom’s hospital room at midnight, things are quiet, and I remembered my computer. I know. I know….shocking. I just might get this update finished. Now where to start, there is just so much that has happened since Evie’s surgery and Ben’s birthday. Let’s start with EVIE and the new word I learned yesterday. Arborization. Isn’t that a lovely word? Truly it is. You can take my word for it. Eight weeks ago, Evie had a BT shunt placed. After a scare where she clotted off her shunt, and an emergency trip to the cath lab, she has done wonderfully. Four weeks ago, we had an appointment where we discussed the fact that her oxygen saturations were still in the high 60’s. Dr. Divekar was not thrilled about those numbers and said that he was quite concerned that she wouldn’t be a candidate for the Glenn. I went home upset and called Dan, who was away on a business trip. He said with great certainty, “I don’t believe that. I think she will do wonderfully and I believe this is due to her pulmonary emboli from the clotted shunt.” He is usually right so I was relieved. The hope after surgery was that with more blood flow to her pulmonary arteries, they would grow, which would make her a better candidate for the Glenn. Wednesday she had her follow-up heart cath and we got wonderful news. The left lung is still not getting much blood flow, BUT the right lung is getting plenty of blood flow from the shunt. Her right pulmonary artery grew 2 mms wider in 8 short weeks. But the best news (and I wish I would have thought to get video) is the arborization in her lung. What that means is instead of there being very limited blood flow as the blood comes out of the artery, there is what looks like a tree. The artery being the trunk and the vessels coming off the branches. It was such a beautiful sight. On top of that her pulmonary pressures were down. All of this means she is a candidate for the second stage surgery, the Glenn, in the next 3-4 months. And all of that means she has a chance for a longer life. Praise the Lord! She was a trooper. After being scared initially, she laid flat and took a nap. Laying flat for six hours is no small feat for a two year old. She charmed everyone when she woke up by blowing kisses and waving good-bye. She is such a beautiful soul. 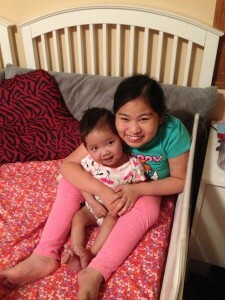 Last night we had an appointment with neurology for Jasmine and Lainey. We haven’t had a lot of information before this. We pretty much know their diagnoses based on the information we have before us. We just don’t have all the testing behind it to have a medically conclusive test giving us a definitive diagnosis. We have been trying to get Lainey to settle in and see where her base-line is going to be. I think we are finally there. I will say that most of the time she is a happy girl. She has started to have some purposeful play. She giggles and runs and plays. She even understands to bring her lips to yours for a kiss. She has started making some sounds and that “mmmmmaaa” is going to be mama very soon. Her diet has been the easiest thing to handle, which is funny because it was my biggest fear. Truth be told, I wish we were only dealing with what I was initially concerned about. Temper tantrums over not being able to have McDonalds would be much preferred over PTSD nightmares that send her into a not really awake state raging for 30 minutes or more. The good news is that these are not daily occurrences any more and they rarely happen during the day. She is still having seizures that are short in duration and happen many times during the day. She also doesn’t sleep for any long periods of time. This has been the hardest on our family. We all take turns doing the “Lainey shift”. She sleeps for maybe 3 hours and then wakes every hour on the hour. This isn’t a you can just let her play in her crib or cry herself to sleep issue. If you leave her alone, she will rage. It’s not a good thing. When Lainey is awake, you are awake. She gets up for good any time after 3:30 a.m. They are going to schedule a 24 hour EEG for her to try and capture her seizures. If you’ve met Lainey, you know that this is going to be a most enjoyable stay (truly wish I had a sarcasm font). For those of you who don’t know Lainey, let’s just say that it took 10 minutes and three people to hold her still for me to trim her bangs. Look at that smile! 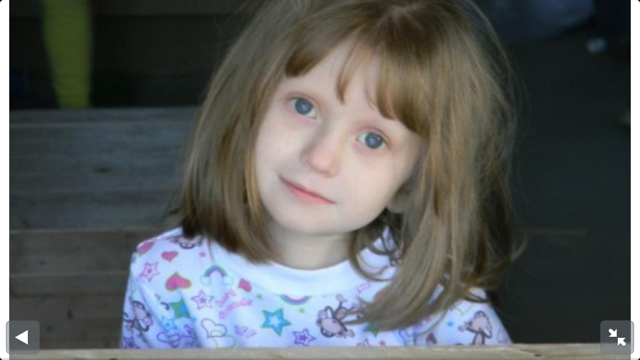 She is a beautiful little girl who is improving each and every day. We’ve come so far in the five months since she has been home. Truly we have. I don’t know where she will end up but the little girl you see today has made so much progress. We have hope that she will continue to improve. Jasmine. Where do I start? First off, we know it is some sort of muscular disease. She has lost so much muscle tone already. They need to do a muscle biopsy for a definitive diagnosis. Her scoliosis is starting to hamper her comfort and it is thought that we will have to do surgery in the next 6 months. For those of you keeping track, that will be at least 4 heart caths, 4 heart surgeries and a major back surgery in 6 months time. And no I’m not complaining. I’m just stating the facts. Sometimes it is a little overwhelming. It’s a good thing I can do all things through Him who strengthens me because this is so much more than I can handle on my own. The hardest part for me with Jasmine is just the loss of dreams. 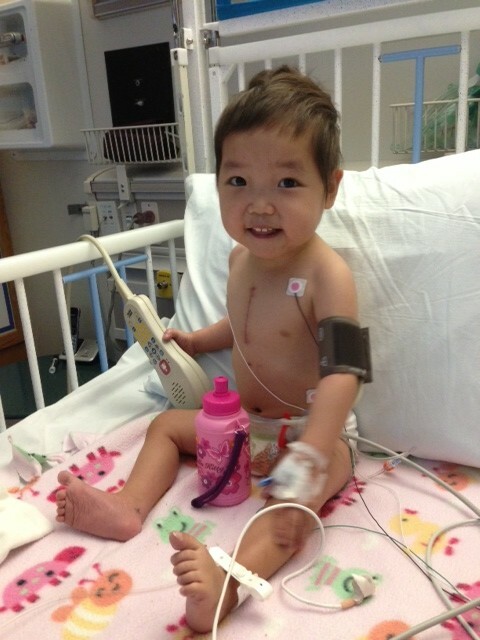 They will have a mandarin interpreter for her when we do her echo, pulmonary function test and see ortho. Jasmine wants to run. She wants to play. Instead of saying “Yes, we can fix this.” We have to tell her that she has to have a 6-10 hour surgery that will require that she lies flat for six weeks. I hate making her cry. She is such a happy girl with a wonderful smile. I love to make her laugh. I love to see that smile spread across her face. I don’t want to take away her dreams or disappoint her in any way. She knows though. I know in her heart she knows the truth. I know this because Gracie has told me that Jasmine said she doesn’t want to be in the hospital like nana. She doesn’t want to be sick and she is scared. I’m happy we adopted her despite the pain in my heart for what she will have to endure. I feel blessed every single day that I get to be her mama. She really is a very special little girl. When people say, “I don’t know how you do it. I could never do that.” I believe they are missing the point. Because when you take your eyes off of yourself, then you know the truth. It doesn’t matter what I can do. The point is Jasmine will not be going through all of this alone. She may lose all ability to move, but she will know she is safe. That is what it is about. Jasmine. It’s all about perspective. You can feel sorry for yourself or you can feel blessed for being a part of a much bigger picture. A brighter future for a little girl who deserves to be loved with great abandon until the day she draws her last breathe. She should feel safe and loved and cared for. It’s not that Jasmine deserves more than other children. The truth is ALL children deserve the love of a family. The fact that we, as Christians, have lost sight of this fact breaks my heart. Jasmine just wrote an essay for our upcoming six month post placement report. China has six questions they want you to answer. Cassie can read enough Chinese to get the gist of it. Jasmine stated that she loves her family. That she is very happy. That she loves school. She is doing remarkably well. We started school in September and we are through Kindergarten and first grade and well into second grade. She can write and count to 100, by twos, by fives, by tens. She can read some. She can add and subtract. She is a very bright girl and is excited to learn. Benjamin has a heart catherization scheduled in Boston on the 28th. His has been the hardest decision to make. There aren’t many five year olds with uncorrected transposition around. It is so hard deciding what to do. Is it overkill to take him to Boston? Maybe? I don’t know. But when it comes to your child, you want to give them the very best chance that you can. You want them to be operated on with the most experienced hands you can find so that is what we are going to do. Ben is not happy about surgery. He is a smart boy and knew something was up. When we initially started discussing this with him, he told us that Eli could have surgery but he was fine. He finally agreed to surgery as long as it could be performed at home. Now he says he will agree to surgery in the hospital as long as Spiderman performs the surgery. This came after he saw this picture from another heart mom’s blog. Ben loves his superheroes. 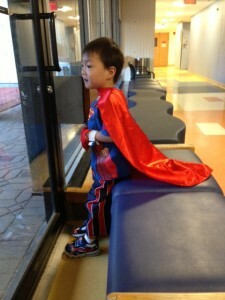 He dresses like Superman when he goes to the hospital. I think if the surgeon dressed like this, Ben would happily go into surgery. I wonder what the odds of talking the doctor into this would be? Which brings us to my mama, we are still in the ICU. She recently had a liver biopsy to try and figure out why her bilirubin just doesn’t want to come down very quickly. The good news is that her liver is not in failure. It is just in shock. She doesn’t feel like eating. She is very weak. She is in pain and can’t take any medication because her liver is not functioning well and her kidneys have failed. She is very weak and has a long road ahead of her. The good news is that she should get there. The bad news is she is beyond frustrated. On top of that, she gets confused and keeps trying to get out of bed. So far we have had two falls out of bed in the ICU. No injuries but she is scaring everyone. As you can see, we have settled into our new normal and life is just smoothly moving along. (Still can’t find the sarcasm font.) Truly though, I love the noise and the chaos of it all. I love looking out into my sunroom and seeing the five littles play together. 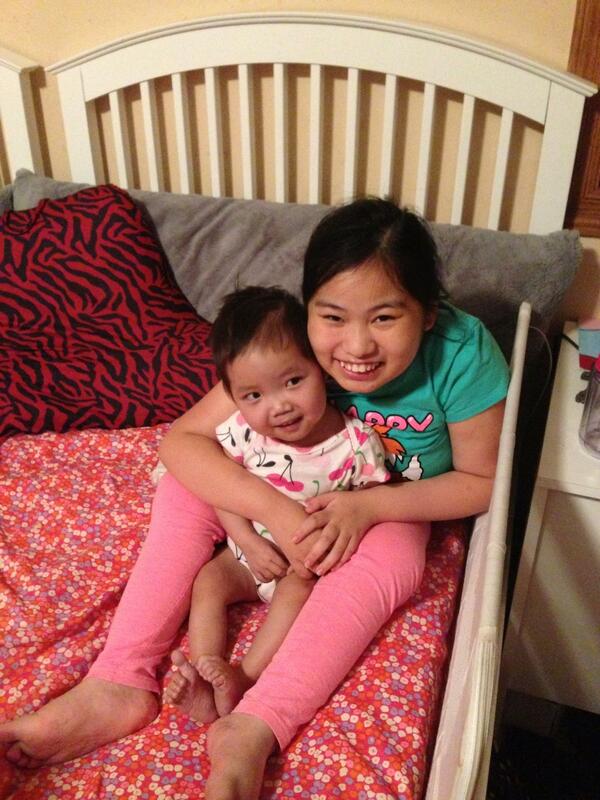 I love seeing Jasmine and Gracie all snuggled up in bed watching you-tube videos and singing. I am blessed to have Cassie and Zach still be here and willingly help with my mom and all the others. 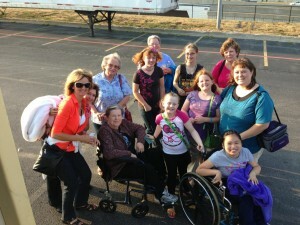 I am blessed to have Dan’s mom help out with the kids so I can be with my mama. I am blessed that no matter how much happens in our lives, Dan and I know who is in control and rely on each other to make it through. It hasn’t all been sad. We have plenty of fun times in the midst of all the struggles. We went to the Renaissance Fair. We took Jasmine to the Casting Crowns Concert at the Iowa State Fair. And the usual fun grocery runs to Wal-Mart which get us many comments from “You have your hands full.” to “Are you running an Asian day care?” to “Where did all these kids come from?” Never a dull moment at our house! Thank you for taking the time to ask me how it was going and to truly be concerned about our family. As always, thank you for the thoughts and prayers.